論文名：Antimicrobial photodynamic therapy using a plaque disclosing solution on streptococcus mutans. 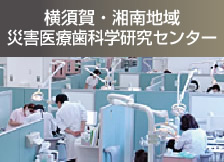 Copyright(c) 2013 KANAGAWA DENTAL UNIVERSITY GRADUATE SCHOOL. All rights reserved.